My girls are all about the Nutcracker and mice, thanks to different holiday books and movies they have been enjoying lately. So, when I received a new middle grade novel the other day in the mail, which was a debut novel from Jenna Gavigan, I knew two girls who love to sit down and read it with me. This book is about a little mouse, Lulu, who has big dreams. She lives in Shubert Theatre and wishes to one day perform on the very stage she looks down on each and every day. But, I bet you have never seen a real mouse performing on Broadway, right? Well, that doesn't stop this determined mouse who loves to dance and sing. 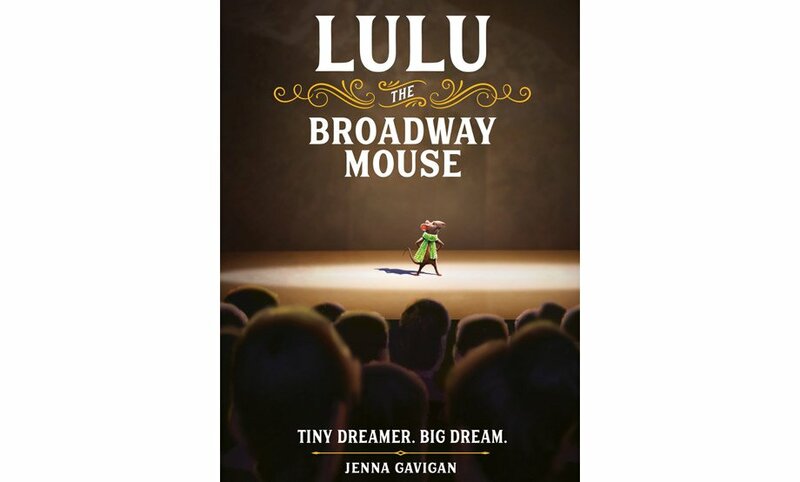 Follow along in this middle grade novel, as you meet Lulu and follow her journey as she tries to make her dreams come true and perform on Broadway one day. Does her dream come true, you ask? I am not going to spoil the ending...you will just have to pick up this chapter book for your child, so they can find out for themselves.
" Lulu is a little girl with a very big dream: she wants to be on Broadway. She wants it more than anything in the world. As it happens, she lives in Broadway’s Shubert Theatre; so achieving her dream shouldn’t be too tricky, right? Wrong. Because the thing about Lulu? She’s a little girl mouse. When a human girl named Jayne joins the cast of the show at the Shubert as an understudy, Lulu becomes Jayne’s guide through the world of her theatre and its wonderfully kooky cast and crew. Together, Jayne and Lulu learn that sometimes dreams turn out differently than we imagined; sometimes they come with terms and conditions (aka the company mean girl, Amanda). But sometimes, just when we’ve given up all hope, bigger and better dreams than we’d ever thought could come true, do." This looks like a nice little books for kids. This would be either fun to read to them or have them read on their own.